This year’s AGM is tentatively being pencilled in for 5th May so please make a note in your diaries. We are planning for a BYO restaurant on Dominion Rd in order to keep costs modest in these recessionary days. It is proposed that the first course for this year is held from Friday 3 April to Sunday 5 April inclusive. Maggie and Ross Legh have generously agreed to allow their olive oil processing facility near Wellsford to be used as the venue. 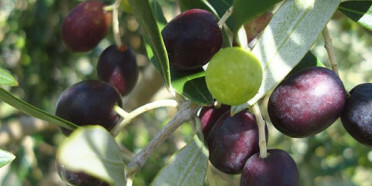 This year we are very pleased to be able to include interested members of Olives NZ as well as processors. Space permitting, non members of ONZ will also be welcome to attend. Leandro Ravetti from Modern Olives Melbourne along with local speakers will present the course. · Practical aspects of high quality extra virgin olive oil production and other aspects of food safety, sensory and quality evaluation. All efforts will be made to demonstrate the press in action, however, actual processing will be dependent upon the availability of fruit. If olives are not available for the course, then a processing demonstration day will be held at a later date. The course is structured so that members may attend for all 3 days or one or 2 days. produced in NZ by an expert panel of 13 NZ and 2 international judges. One of the judges and a well known personality in the olive oil Industry is Margaret Edwards. As well as being a judge she has helped to set up all the sensory methods in NZ for olive oil for the last 11 years. Along with other producer judges who also entered their olive oil, she was an entrant in the 2008 awards. A technicality was overlooked only in the second round of judging when oils were re-tasted for special awards. A genuine mistake was made when consideration was not given to preventing one of the judges unwittingly assessing her own oil in the completely blind tasting by all 15 judges. This did not make any difference to the final marks. Certain members of Olives New Zealand objected to this and instead of resolving the issue in a calm and pleasant way (the kiwi approach) they decided to have a trial by the media. Margaret Edwards’ oil not only tastes fantastic and won best in show last year, it also has levels of minimal oxidative and hydrolytic damage that demonstrate the care and attention to detail that goes into its production. The programme showed how the media can hound and harass ordinary people reflecting life in a country less pleasant than ours. This reviewer hopes that the matter is resolved satisfactorily to everyone’s benefit without decent people being damaged by scurrilous allegations by vested interests in the industry. A typical response to the TV3 broadcast is quoted below. “Margaret Edwards has worked tirelessly on behalf of the NZ Olive industry for many years and without her input we would not be where we are now. I would rate her as a person if the highest integrity – completely dedicated and with a commitment to the industry. Without her there would be no internationally recognised judging panel in NZ” – John Munro. I have been asked to respond to a request from your organization regarding my impressions and evaluation of the above National Awards. In fifteen years of professional experience, I never judged a better run and more organized event than the one you have invited me to participate for the last eight years. As you might recall, I have chaired the Los Angeles Competition (the largest in the world) from its creation until 2004. I also have had extensive experience in a number of countries throughout the world in this field. I can attest to the highly professional handling of the entire procedure by HortResearch and the Olives New Zealand Panel of Judges led by Margaret Edwards. The quality of all of the judges was excellent, and the attention to detail in avoiding any “conflict of interest” was impeccable. It has come to my attention that concerns were expressed regarding the ability of a panel of 15 judges to alter in any way the results by recognizing a particular EVOO. This is absolutely impossible when the taster is asked to judge a number larger than a couple of oils at a time, which was definitely the case. I hope the above will put to rest any unfounded concern. Anyone else who saw the programme and has a point of view can see the video from TV3 and comment on it. The internet is a very useful tool for spreading knowledge and information very efficiently and promptly throughout the world. It can also be a source of false information and in reality “rubbish”. An instance of this arose recently when a University colleague showed me a standard letter off the web that her daughter had brought home from school. The letter attacked canola oil describing it as containing erucic acid and actually being rapeseed oil which was toxic. Canola oil is in fact a plant variety of rapeseed, modified by conventional plant breeding to produce an oil that has quite a good balance of unsaturated fatty acids. The name originally stood for Canadian rapeseed oil. The other myth is that coconut oil is good for you. Coconut oil is 90 percent saturated and hence raises serum cholesterol. There are no clinical trials which show that coconut oil is a unique saturated oil which does not raise serum cholesterol. Coconut oil does not consist mainly of medium chain triglycerides despite the claims on the web. These quoted MCT’s are in fact C8 and C10 triglycerides manufactured from ester distillates, whilst coconut oil is 47 percent lauric acid. Leading presenters in Oils and Fats will address the most topical issues at the World Congress on Oils and Fats & 28th ISF Congress being held in Sydney, Australia from 27-30 September 2009. We have confirmed an impressive list of invited speakers at this peak international congress who will cover the most current research and technology in the industry. To align yourself and your research with this impressive list of speakers and presenters at the Congress, submit an abstract for inclusion as an oral or poster presentation. Abstracts will be released in July 2009 to enable potential delegates to review the breadth of the topics to be covered and to plan their attendance. In my opinion we have some excellent original work being carried out here in New Zealand and it would be well worth a good contingent of NZ scientists and development personnel getting their places booked and their abstracts into the conference. Topics for example could include salmon and its benefits, NZ olive oil, hempseed and flaxseed oils, ethyl esters of omega-3 oils and squalene. This is book number 22 in a series of pertinent, well-written and informative books from the Oily press (see website). It consists of eight chapters, 200 pages of text and a host of vital references. The 14 contributors are leaders in their respective fields. The book is edited by the world respected eminence of the oils and fats world, Professor Frank Gunstone and this shows in the overall quality of the book. In his preface to the book Professor Gunstone writes” Phospholipids are an important group of lipids with major areas of interest in biology, biochemistry and medicine, and also in science and technology. It is the latter that are emphasized in this book. The major source of phospholipids is the lecithin recovered during degumming of vegetable oils, particularly soybean oil. This crude material finds uses in its own right, but it can be purified through a series of processes that eventually lead to individual phospholipid classes such as the phosphatidylcholines. It is widely accepted that oil and water do not mix, but there are several areas in science and technology where these two distinct phases must coexist in stable emulsions. This is achieved by admixture of amphiphilic molecules of which the phospholipids are important natural examples produced commercially at levels in excess of 250,000 tonnes per year. This property has been known for a long time by cooks who, while knowing little about lipid structure or amphiphilic systems, nevertheless recognized the importance of eggs (a rich source of phospholipids) in their recipes. Today phospholipids find many uses in the food industry and in other industries that exploit the amphiphilic nature of these compounds. The early chapters in this book are devoted to the more common glycerol-based phospholipids and cover their structure, source, composition, modification by chemical and enzymatic methods, their physical, chemical, and nutritional properties, and their major uses. The final chapter is devoted to another kind of phospholipid – the sphingolipids – in which there is increasing global interest. With its emphasis on science and technology, this book should be of special value to those in the food, cosmetic, and pharmaceutical industries. Most of us in the food industry are well aware of lecithin and its uses and those of us familiar with health food stores have seen lecithin products and read about the health aspects. This book does an excellent job of combining knowledge about both sectors of interest, namely the food industry and the health products industry. The book can be divided based on two typical, functional uses for phospholipids. The first addresses biological, health, and medical functions. The chemical structure and biological functions of phospholipids (PL) are explained clearly and succinctly in Chapter 1. This is a complex subject presented in a clear and informative fashion. The medical applications of PL are handled in Chapter 7 entitled `Clinical and nutritional properties of PL’. It is a short but informative chapter on the roles of PL in nutrition, health, and cell signal transmission, with numerous interesting literature references. An excellent overview on sphingolipids is presented in Chapter 8. These functional PL in milk may become novel functional ingredients as metabolic agents in infant and health foods and medical therapies. Our own dairy industry, particularly Fonterra should find these chapters of immense interest. The second portion of the book addresses technical functionality, sourcing, and production. In Chapter 2, a good review of the major sources, composition, and processing of vegetable and animal lecithins is well presented. Chapter 3 is on the enzymatic modification of PL and related polar lipids The detail in this chapter is sufficient to fire up any number of postgraduate Chemistry and Food Science students. The short Chapter 6 on chemical modification also is invaluable for providing the reader with good information about acetylation- and hydroxylation-processed lecithin and the technical uses for these types of lecithins. Chapter 5 on physical properties covers the fundamental knowledge on the physical structure of PL at interfaces in emulsions, phase behaviour of single PL, and mixtures with cholesterol and medium-chain monoacylglycerols in aqueous systems. In dispersed systems, the formation of liposomes, reversed vesicles, and emulsions are well discussed, ending with the phospholipid organization in biomembranes. This chapter is a must for people working on emulsions both practically and in the research field. This book is highly recommended for technologists in the food industry, for students, technicians, and scientists working with phospholipids or other surfactants in food, pharmaceutical, and cosmetic applications. It is also important for biochemists and biologists with an interest in biomembranes and phospholipid in human health and functional foods.